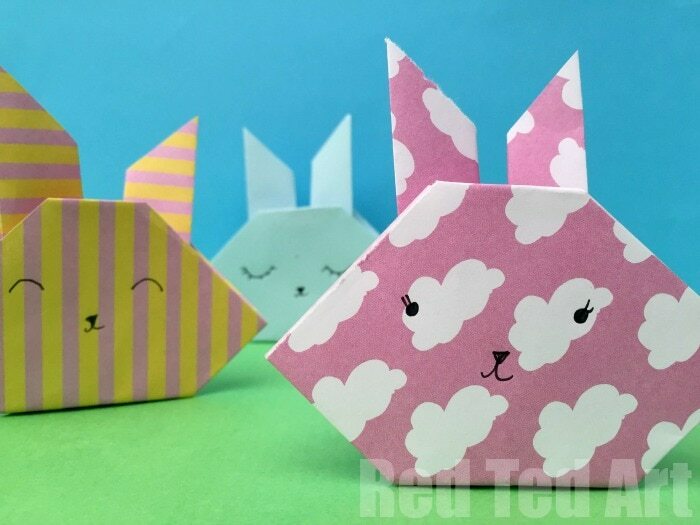 If you’re looking for some fun and simple bunny craft ideas, you will love the project ideas and tutorials we’ve pulled together for you here. 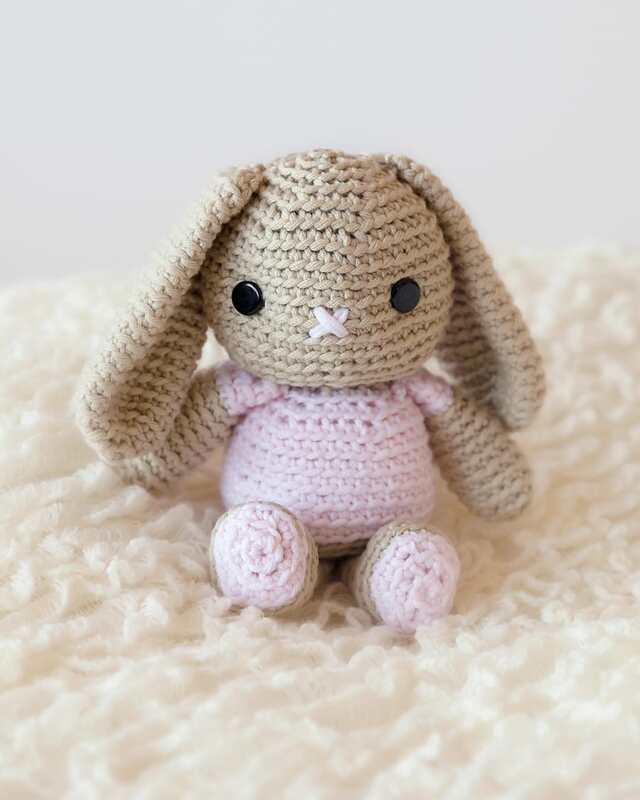 You’ll find DIY bunny decor, bunny puppets, bunny paper crafts, bunny knitting and crochet projects, and more! Hello crafty friends and DIYers! 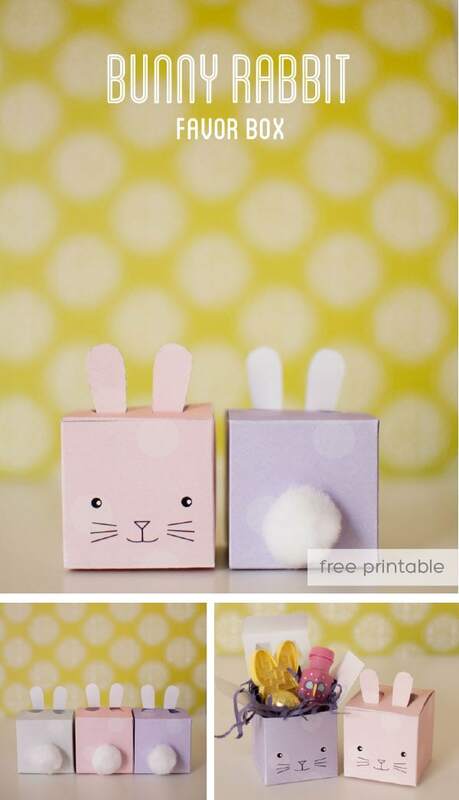 If you’re looking for some fun and simple bunny craft ideas, you will love the project ideas and tutorials we’ve pulled together for you here. 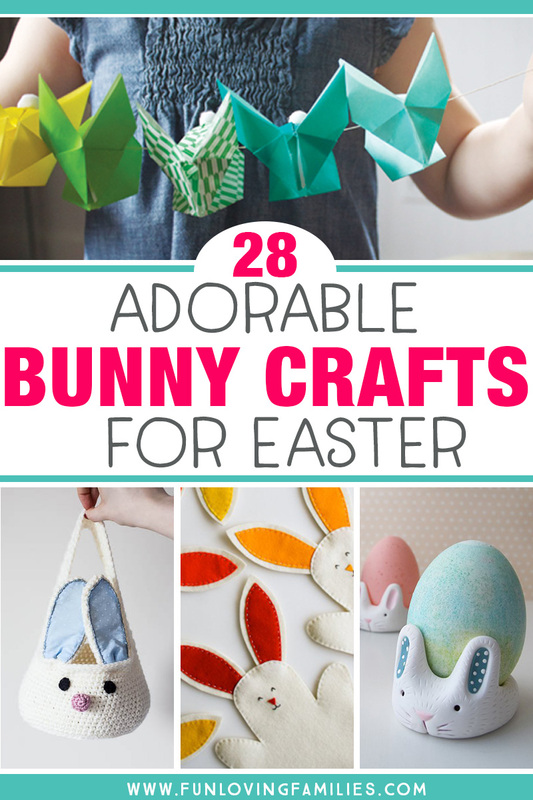 There is truly something here for everyone, whether you’re looking for a fun project for your Easter party craft table, need something to keep the kiddos busy over Spring Break, or just want a fun, seasonal project for yourself, we’ve got you covered. 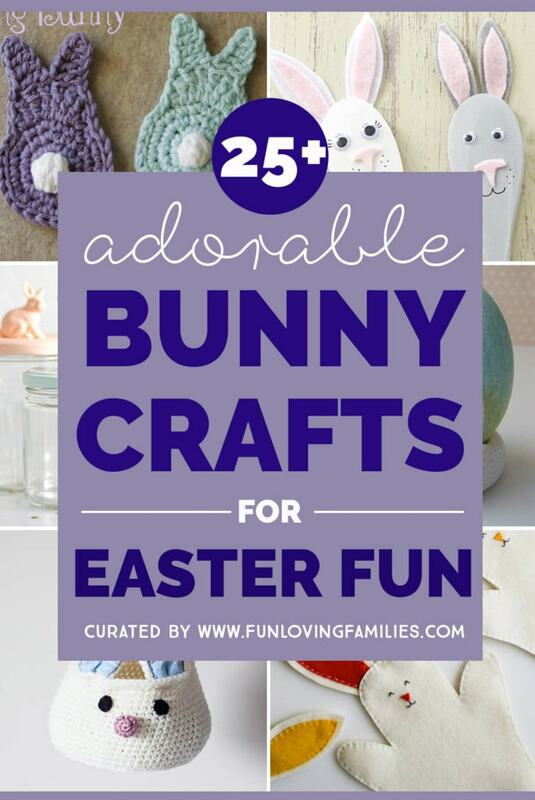 Scroll through and find the bunny craft ideas with your name on it! 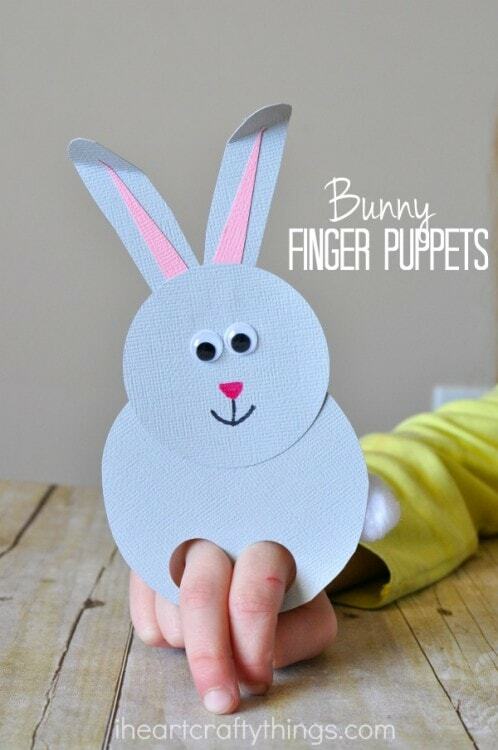 This simple paper finger puppet kids craft from I Heart Crafty Things will fit the bill for an easy spur-of-the moment craft. 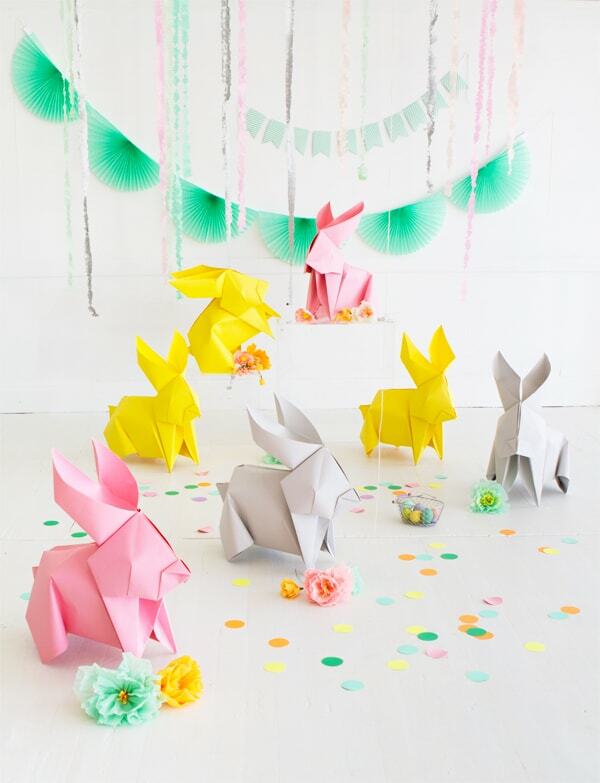 It would also work well for an Easter party kids craft. 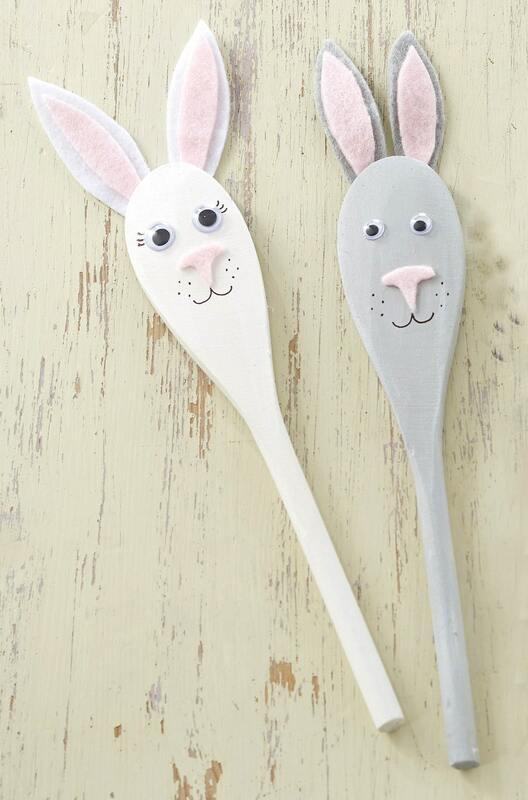 Simple materials like felt and a few wooden spoons are all you need to make these wooden spoon puppets from Hobby Craft. 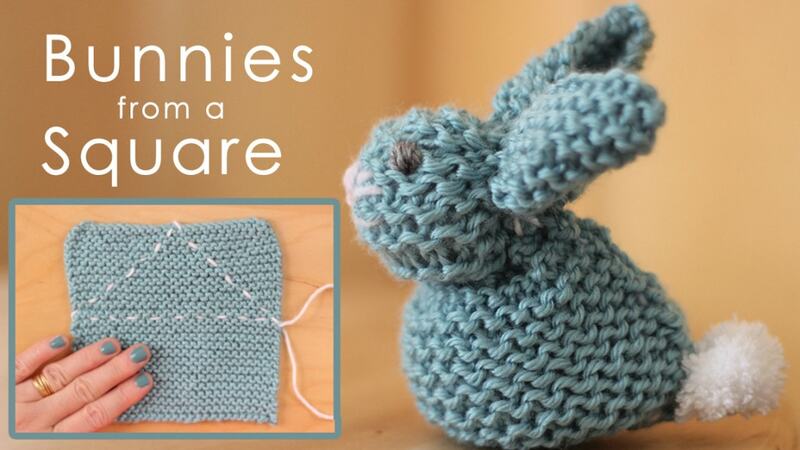 Find a use for some of your pairless socks with this sock bunny tutorial from A Pumpkin and a Princess. Create fun and simple paper plate bunny masks with the kids. 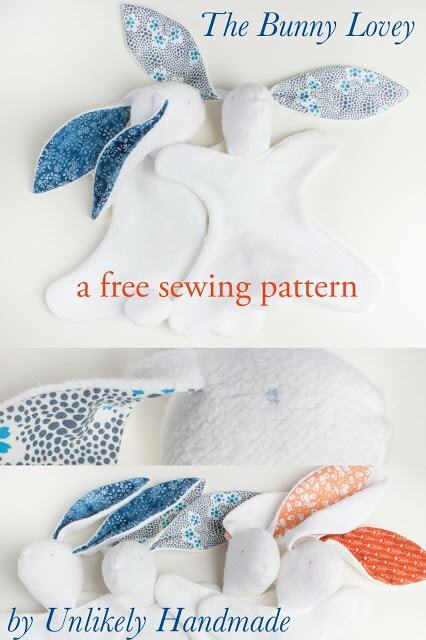 Tutorial and templates from Rae Ann Kelly. 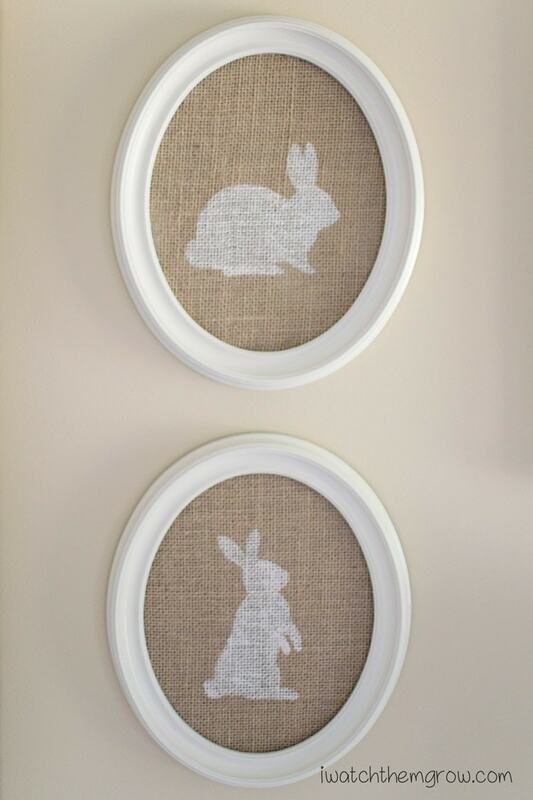 These would be a big hit at an Easter party craft table. 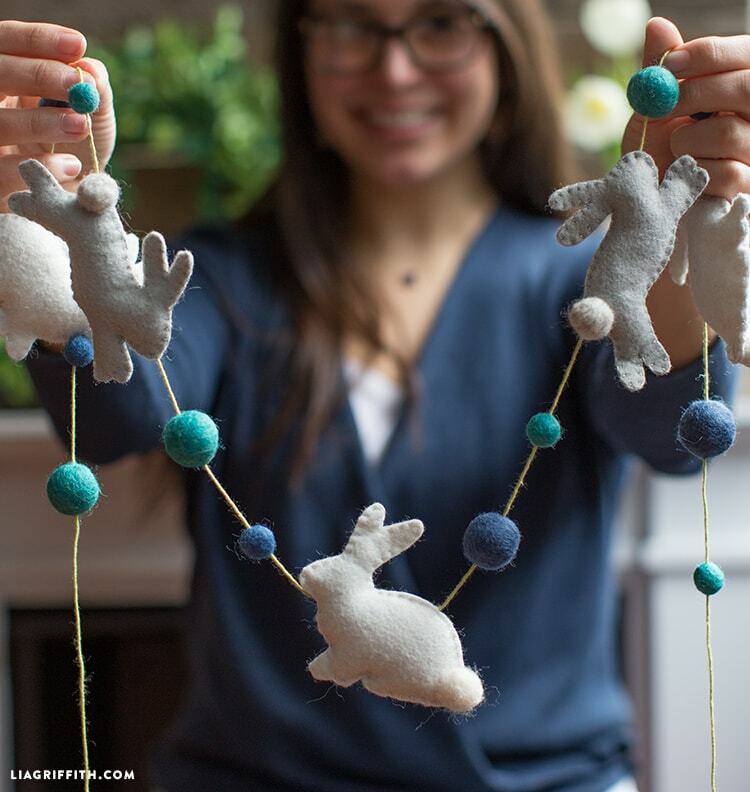 Lia Griffith has the pattern and tutorial for making this happy and festive Spring bunny garland. 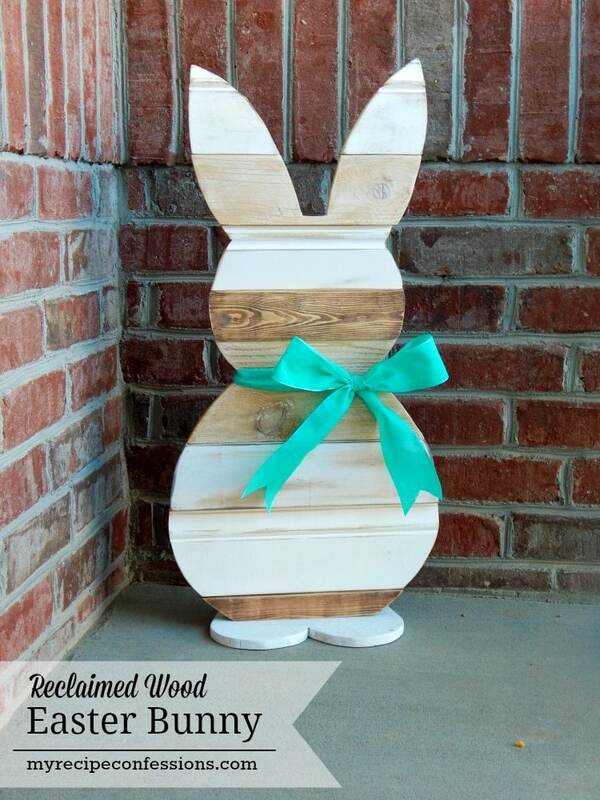 Make a charming wood bunny statue to greet your guests with this tutorial from My Recipe Confessions . 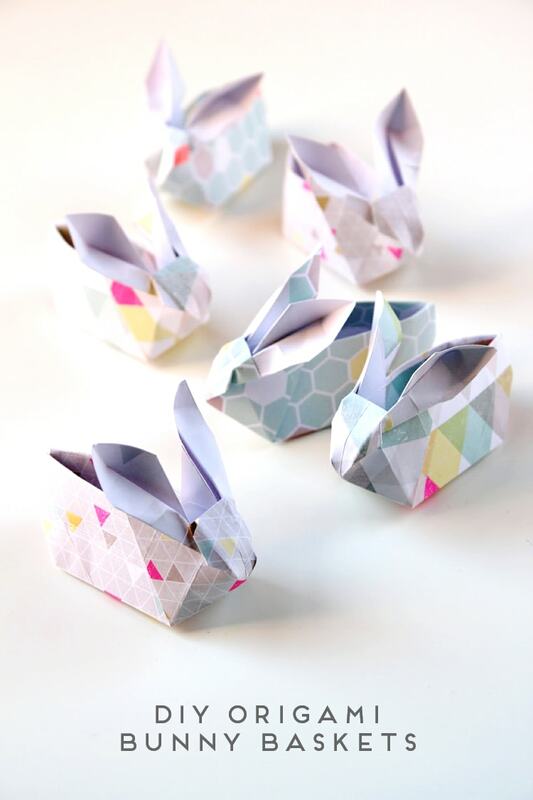 These printable bunny favor boxes from Paper Loving are super-cute and so easy to make. 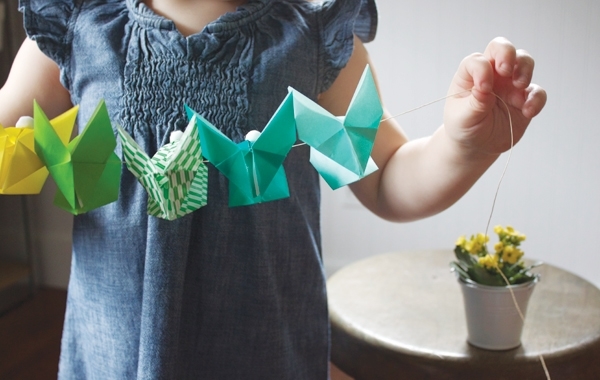 Just print, fold, and add the little cotton ball to the back! The boxes are small, but they can still fit plenty of tiny treasures that kids will love. 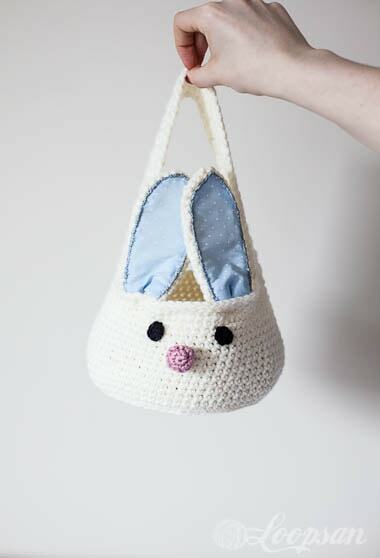 Craftaholics Anonymous shows how to turn a regular brown paper bag into an adorable bunny treat bag (free printable tag included). 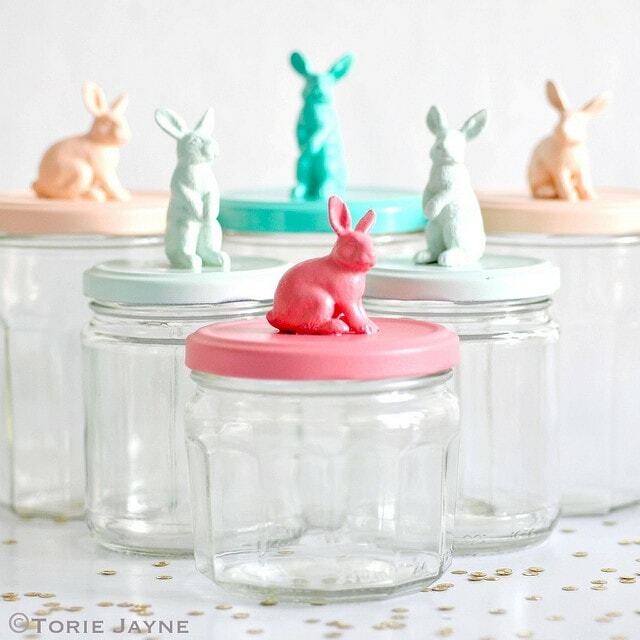 Create eye-catching treat jars for your next Spring get-together or Easter party with these colorful DIY bunny jar lids from Torie Jayne . 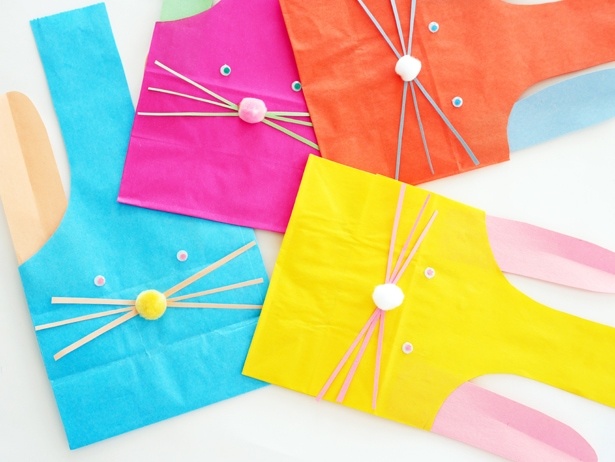 You won’t believe how quickly you can pull these bunny treat bags together. Check out Hello Wonderful for the how-to! 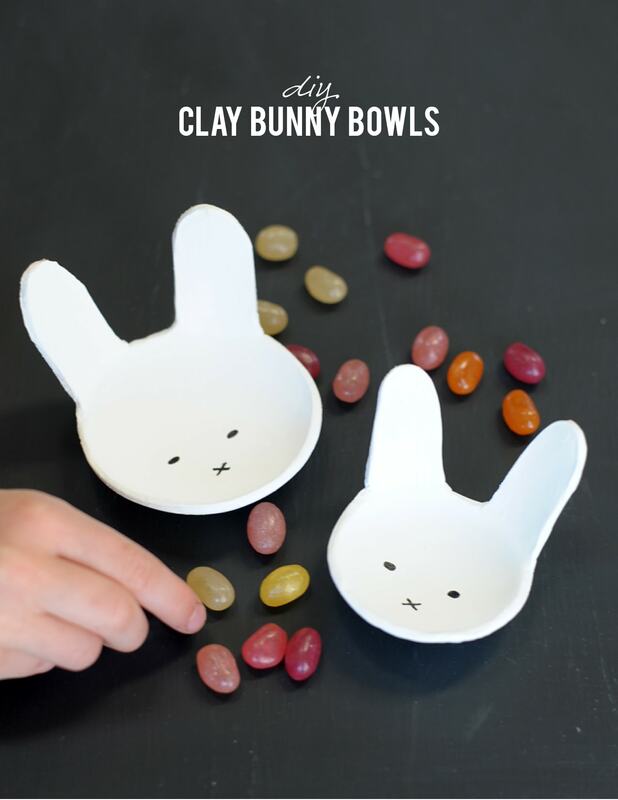 For a bit of festive Easter decor, create these simple bunny-shaped bowls from Alice and Lois using air-dry clay. 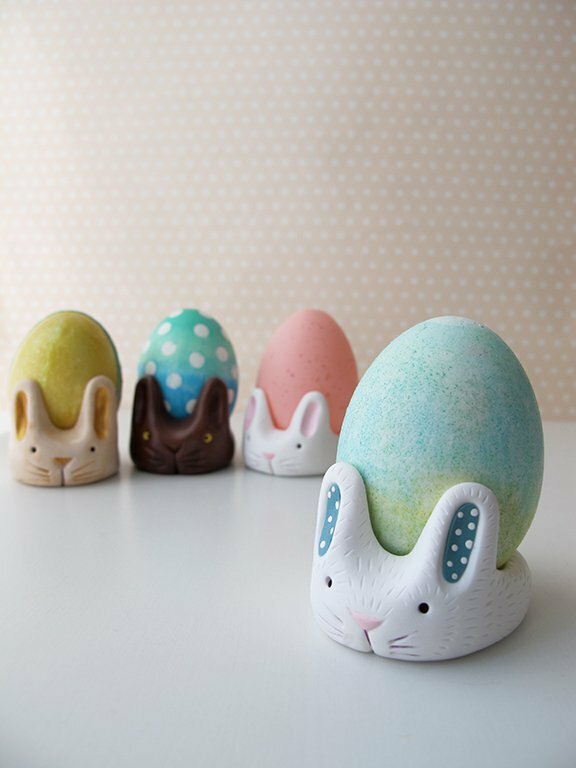 Egg cups become cute Easter decorations with this polymer clay egg cup tutorial from Makezine . 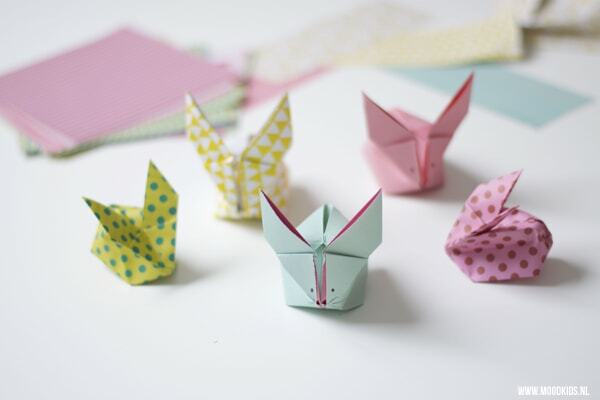 Check out this step-by-step tutorial for making these tiny clay bunnies from Welcome Craft . 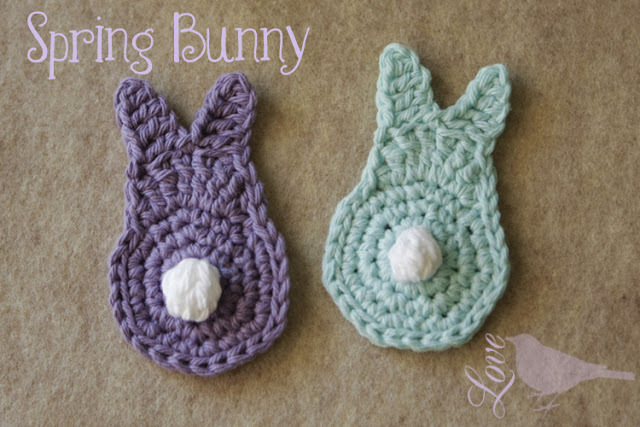 You can make them as tiny statues to play with and sprinkle around your home, or you could use them as Easter Tree ornaments with the addition of a hook or ribbon the tops of their heads! 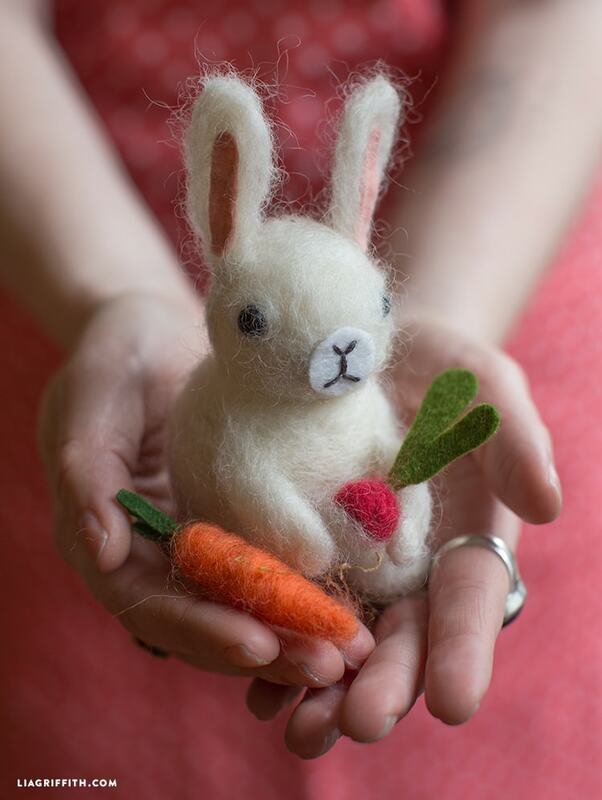 This felted bunny from Lia Griffith has some basic shapes, making it a totally doable project for beginning felters. 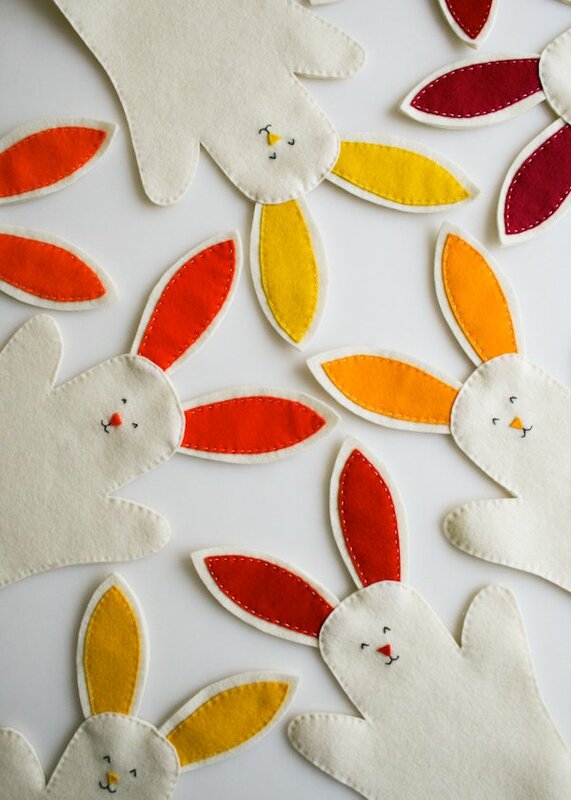 If you’re looking for a DIY Easter party favor, or a candy-free Easter gift for children, these bunny hand puppets will fit the bill. Visit Purl Soho for project details and pattern pieces. 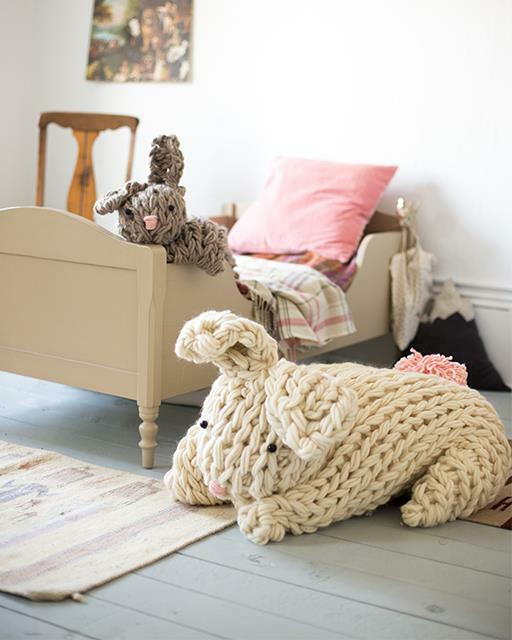 I love this cuddly bunny softie from Unlikely Nest ( available for free when you subscribe to the Unlikely Nest blog). If you liked these ideas, be sure to Pin this image to share and save for later!